If you own a rental property, you want to fill vacancies as soon as you can. After all, the faster you can get a tenant to sign a lease, the quicker you’re bringing in income and satisfying the bills that fulfill your bottom line. There’s always a debate about the best time for people to put their properties on the rental market. Some people say spring; others say summer. While you don’t always have a say in the timeframe in which your properties become available to renters, there is a science related to making Baltimore rental properties attractive at the right times and to the right audiences. Before you consider renting out your house, take a look at the surrounding community. Is your home located near a college or university? If so, you’ll probably want to have your house on the market at least a couple of months before school starts. Students who are seeking off-campus housing tend to start looking for homes in July or August, if not sooner. They want to lock down their leases, so they’re in a good place when school starts. Even though academic renters may not be moving into your rental property until the school year begins, they start looking for properties pretty early. Don’t let great renters slip by the wayside because you thought it was okay to wait until later. Spring and summer are the best time of year to rent out a house that is on or around university grounds. Bay Management Group advocates placing your property on the market between March and July (if possible). This is when young professionals and families are exploring their environments and looking for their next homes. They’re meandering through coffee shops, enjoying daily walks, and figuring out which neighborhoods would work best for their needs. Spring and early summer offer prime months for potential tenants to take advantage of beautiful weather while they see what’s out there in the rental market. 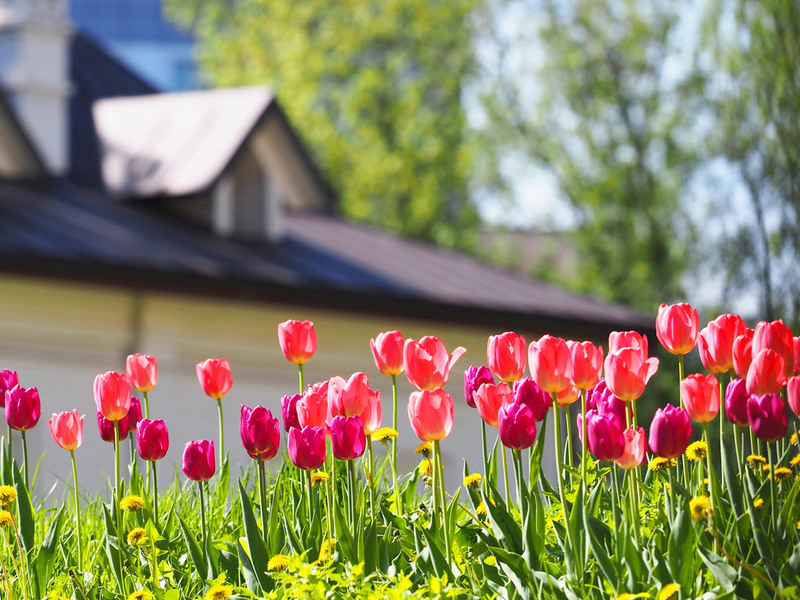 You don’t want to be left out in the rain because you didn’t list your property in time to catch the springtime attention. You don’t always have the luxury of choosing when a tenant moves into your space. Sometimes, off-months like November, December, or January lend themselves to vacancies you need to fill. In these cases, try to entice your tenants to stick around on month-to-month leases so you can be in good standing when the optimal renting time rolls back around. This won’t only benefit you; it will help your renter, too, as places are bound to become available as the snow starts melting. If your tenants love your pad, place them on a year-to-year lease that expires between March and July. You can easily offer an incentive for a re-signing if your tenants have shown themselves to be great renters up to this point. Off-season re-signing can be remedied with 15-month leases, which typically fill the gaps of the winter months. Bay Management Group advocates year-to-year leases whenever possible. By having your tenants agree to twelve-month-at-a-time contracts, you can rest easy, knowing you don’t have to constantly be on the lookout for 30-day notices before your tenants move out. These 12-month leases ensure the people who will be staying on your property commit, and if anything should go amiss while they’re there, you have legal guidance to remedy bad situations. Consider offering slight reductions in monthly rent to people who are willing to sign two-year leases (or longer). In the end, you’ll save money because you won’t need to change the carpet, paint the walls, or market the property as frequently as you would have, had your tenant only signed a single-year lease. Bay Management Group rents single-family homes and units within multi-dwelling buildings throughout the year. If you’re able to get your renters on a schedule that begins or renews between March and July, you’ll be one step ahead of the game. But we know you don’t always have control over the months in which your vacancies become available. That’s why we’re here to help all year long. From placing advertisements to screening tenants and performing eviction procedures, Bay Management Group is your full-suite property management firm. BMG knows how to market rental properties, no matter which season your vacancies become available. Thanks to our team of highly skilled property managers and real estate investment pros, you’ll be in good hands when you have square footage that needs to be filled. Touch base with our team to see how we can help you achieve optimal ROI on your investment property today!